Back to School Vision Special, helping kids See Better! Home » What's New » Back to School Vision Special, helping kids See Better! 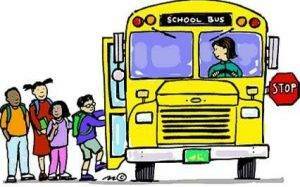 It is that time of year again…in order to prepare your children for back to school, you may incur several expenses. They may want a new outfit for the first day, they need school supplies, new shoes, etc. Before school starts is a great time to have their annual eye exam to set them up for success for their next school year. Then if they do need glasses, we have put together two different packages to help save you money. *amount of the savings depends on the frame or lens material type chosen and whether the patient is a new or an established patient. This offer expires on 9/21/2018 and is not valid with other discounts or insurance plans. Call our office at (937) 258 – 1515 to schedule an appointment. See you soon! VisionMakers - Located at 3085 Woodman Drive, Suite 100, Kettering, Ohio, 45420. Phone: 937-258-1515. Beavercreek Vision Center - Located at 1370 North Fairfield Road, Suite A, Beavercreek, OH, Ohio, 45432. Phone: 937-426-2212.